We have yet another winner to congratulate! 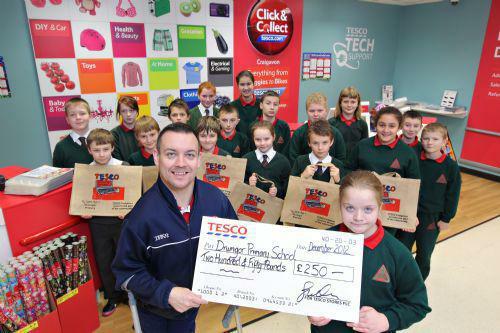 This time its Ugne from Primary 7 who has just won a Northern Ireland Tesco competition. Ugne has just designed a shopping bag to be sold in Tesco stores and will be available across the province. The school was presented with a cheque for £250, Ugne received £25 and each family in the school received one of the bags with the winning design. Well done Ugne!